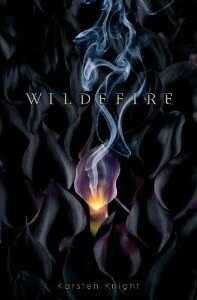 This week's pick is Wildefire by Karsten Knight, set to come out July 26, 2011 from Simon & Schuster. • When warm and cold fronts collide, there’s guaranteed to be a storm. My Thoughts: Gods-on-earth? Fire smoldering within? Yes. Please. The concept of this one is fantastic, from the Polynesian goddess to the boarding school setting to the storm that's guaranteed in even the premise. I really think this premise alone is far from basic, making me think the plot of the book will be far from simple... and most likely quite amazing. And then there's the cover, dark and mysterious, but I love the centered focus and flame, with the smoke rising. It definitely speaks for Ash, and is still eye catching. Agreed, agreed, agreed! Awesome pick Kari. I'm adding this one to my wishlist right now. Thanks so much for sharing! WOW! I haven't seen anything about this book yet! I want to read it now! sounds so good definitely gonna check this one out. WOW! I LOVE that cover!! Liking a lot of covers from WoWs this week! !